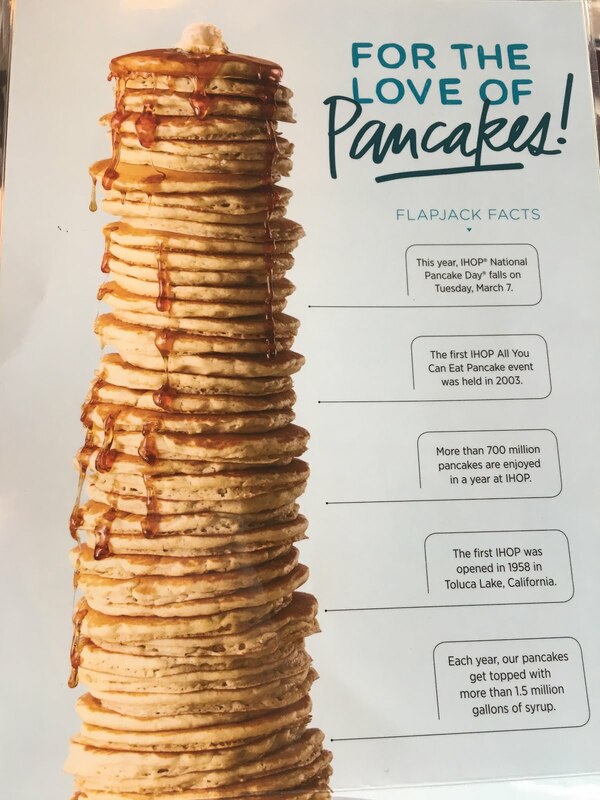 In response to pleas on social media last year, IHOP rang in the new year by bringing back "All You Can Eat Pancakes" for a limited time. 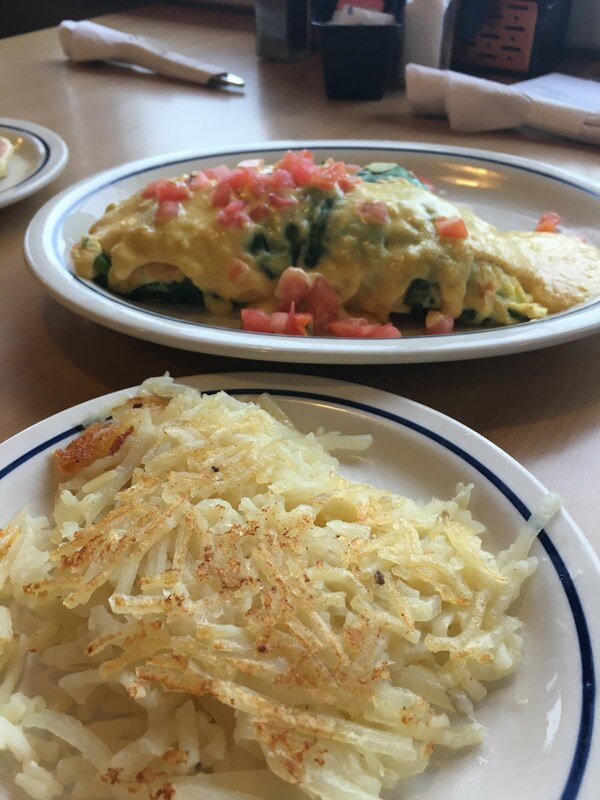 But that time runs our this weekend. 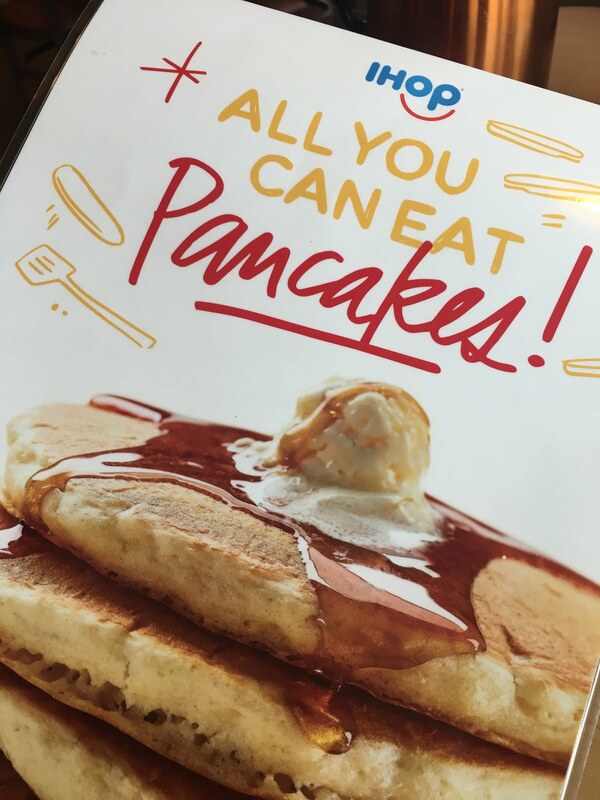 The "All You Can Eat Pancakes" offer runs through February 12. 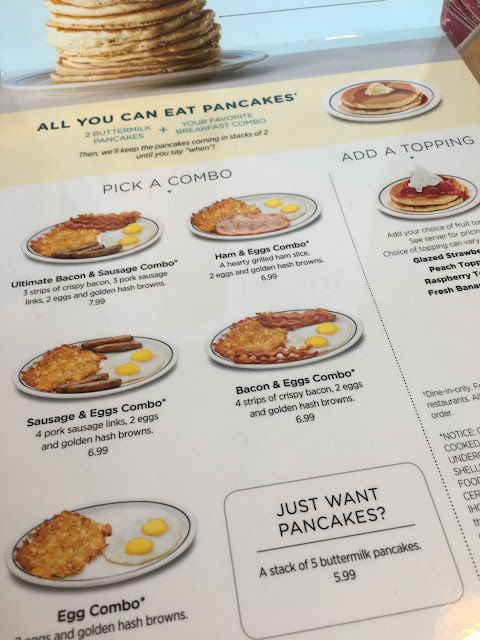 I visited my local IHOP to get a taste of pancakes and was happy to see that not only can you get a big stack for $5.99, but you can also get a combo for $6.99 that comes with eggs, hash browns and sausage, ham or hickory-smoked bacon (for $7.99 you can get sausage and bacon.) 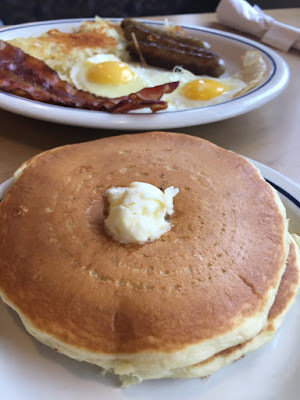 Guests can request additional short stacks of two buttermilk pancakes until they get their fill. 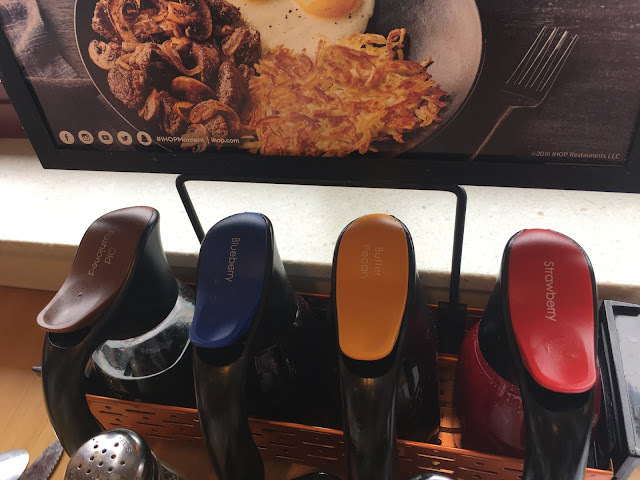 For an additional charge you can add a fruit topping - or you can choose from four flavors of syrup available at your table. Each time I am there I am surprised by what a generous amount you can get for a reasonable price. While I enjoyed the pancake combo, hubby got a mushroom and spinach omelet with a side of hash browns. 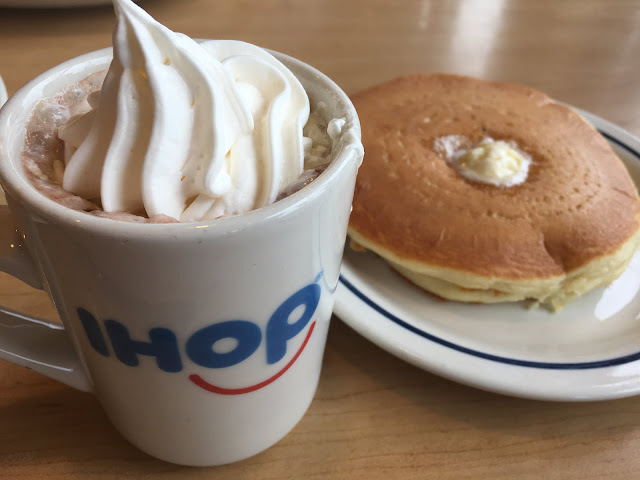 Oh, and I had a hot chocolate that was delicious - with gobs of sweet whipped cream on top. 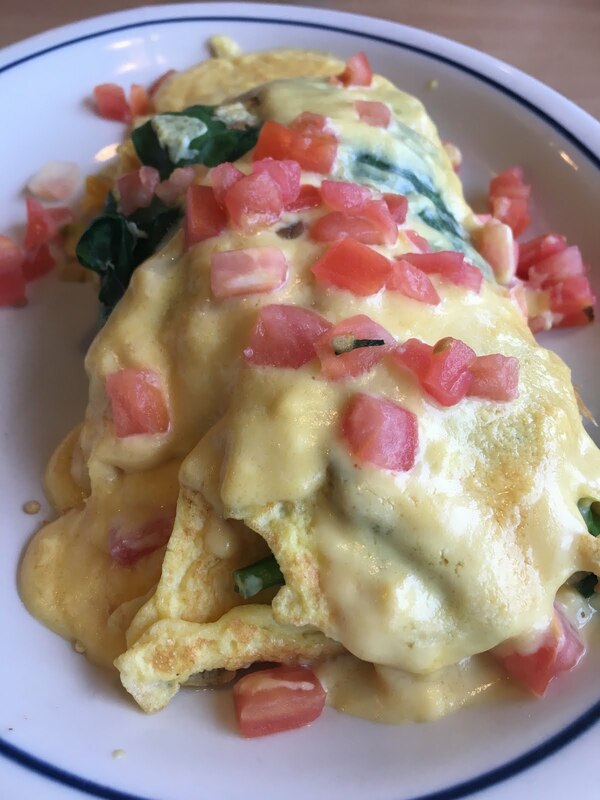 IHOP is the spot where you can always count on a good, hearty, consistent breakfast meal no matter what time of day the craving hits. Get in as soon as you can and get your fill of pancakes before the offer disappears.